Editor’s note: As “Day Zero” looms in Cape Town, when water taps are expected to run dry in homes and businesses throughout the city, its four million residents are coming together to share resources and prepare for the social and public health impacts of the impending crisis. 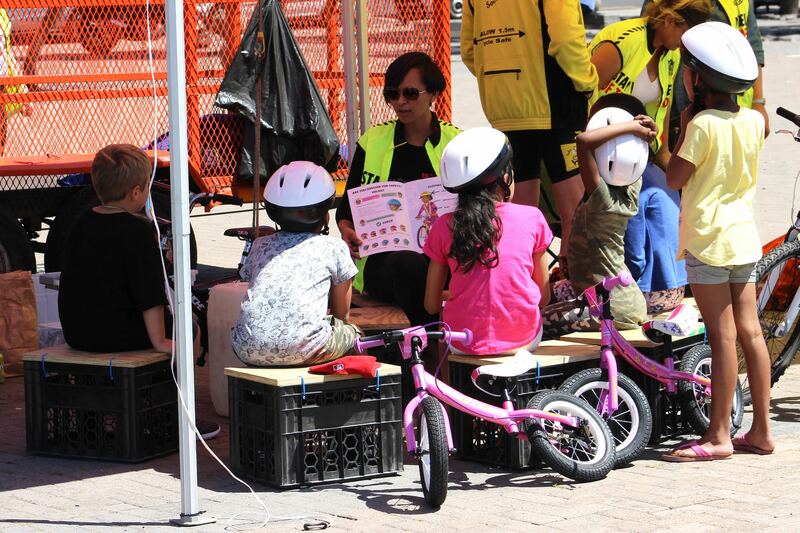 In this guest post, Open Streets Cape Town’s Co-founder and Managing Director, Marcela Guerrero Casas, reflects on the critical importance of social networks and community connection in the face of disaster and hardship. This Sunday (February 25, 2018), with the dual theme of conservation and building solidarity, Open Streets events will transform a major road which connects four Cape Town neighborhoods into a car-free public space where people can engage in open dialogues about how to reduce water consumption, while participating in community-building activities, and enjoying creative performances and educational workshops. Even if water is scarce here in Cape Town, innovation and resourcefulness are not. As the city faces a drought of historical proportions, people are taking action, from sharing practical water reduction such as spray bottle “technology” in the kitchen, to encouraging mass behavior change with strategies like fewer and shorter showers, not to mention the fascinating conversations taking place on social media. It seems the crisis—as well as the misinformation, fear-mongering, and political infighting it has kicked up—might also be revealing our ability to come together around a common goal. 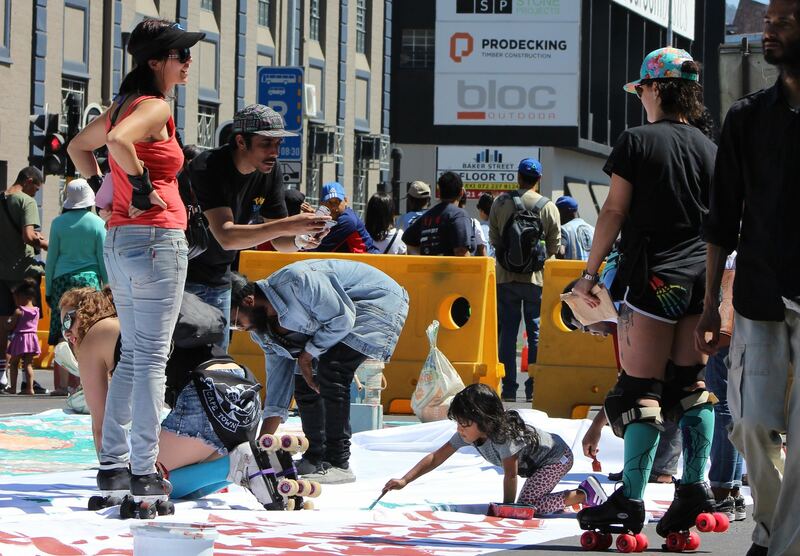 Citizen-driven initiatives are a big part of the solution to this crisis, and Open Streets is a platform that can help facilitate this process. In times like these, the physical places where people meet are crucial, and perhaps none more so than the street—particularly, one without cars. 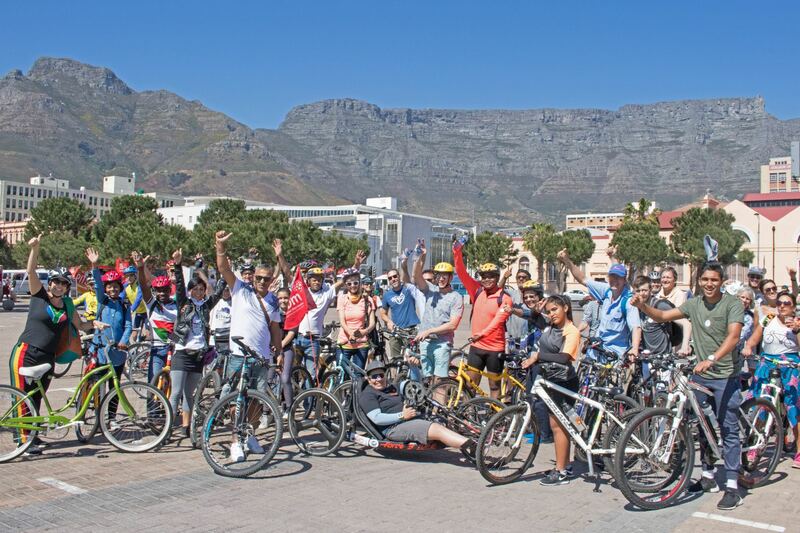 To test this conviction as a way to help solve the water crisis, on February 25th, local Cape Town residents will turn 3km of a major artery in the city into “Open Streets,” where people can collectively innovate and strengthen social bonds. While it is true that the situation we face is the result of an unprecedented and prolonged drought, it is also linked to the corrosive belief that citizens have no agency and that government should be responsible for solving such crises. This is not to forego the importance of our leaders’ accountability or to discard the crucial need for change at the institutional level where municipal services are meaningfully improved and the system is radically changed. Rather, it is meant to underscore the fact that as individuals and community members, we have an opportunity not only to make our voices heard but to take action to have an impact on the larger ecosystem. 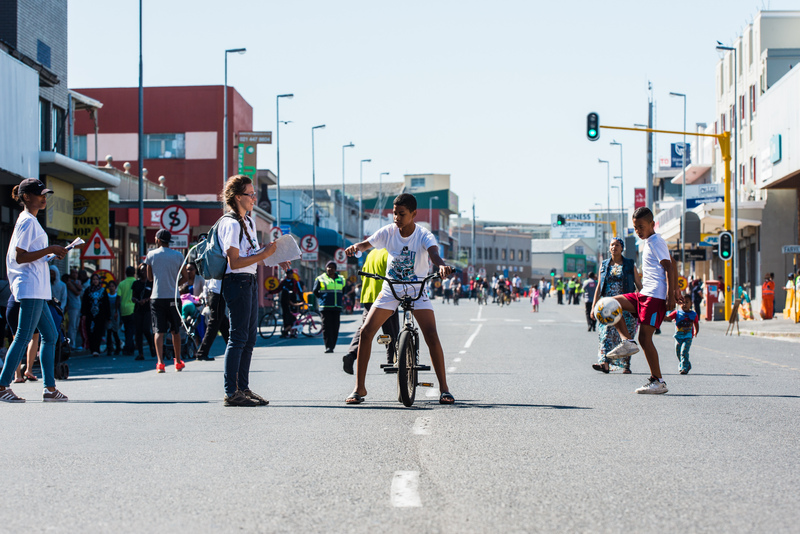 At Sunday's Open Streets event, we will explore how we can maximize the rare opportunity to connect with other fellow Cape Town residents on the street, while focusing our attention on how to get through the water crisis. We believe that in a city with such profound fissures as Cape Town, one cannot happen without the other. No water-saving practice will have the desired effect if people are not connecting within their communities—not just where they live, but also across the many dividing lines of this city. "No water saving practice will have the desired effect if people are not connecting within their communities – not just where they live, but also across the many dividing lines of this city." Local government—despite the myriad challenges of rolling out on-the-ground action at such a large scale—has succeeded in communicating a sense of urgency to the public while putting systems in place to help curb consumption. Now, however, civil society must take a proactive role in building the type of social fabric that can help us safeguard against fear, apprehension, and mistrust. It is already happening. Organizations have started campaigns, from conservation focused ones like that of WWF South Africa to advertising agencies using their skills to “sell” the idea of behavior change. While the situation is dire, and likely to continue, it is important to also consider the potential for change embedded within it: The crisis could result in new ways of thinking about our relationship with common resources of all kinds, whether it is water or public space. Tension and fear manifest in many ways. In Cape Town, and in many other major cities around the world, this is seen on social media and other public platforms. But it is also palpable in people’s interactions on the street. As street enthusiasts, we believe that there couldn’t be a better stage for bringing people together to share ideas, comfort, and concerns. This is the backdrop for this weekend’s Open Streets Day in Cape Town, as people will take over one of the city’s most iconic corridors in order to convene, connect, and help build precisely the kind of solidarity that we so desperately need to face Day Zero—and the days that follow it.